Blurb Description: From two acclaimed authors comes an emotional story told in verse about friendship, love, and overcoming unbeatable odds. Nicu has emigrated from Romania and is struggling to find his place in his new home. Meanwhile, Jess's home life is overshadowed by violence. When Nicu and Jess meet, what starts out as friendship grows into romance as the two bond over their painful pasts and hopeful futures. But will they be able to save each other, let alone themselves?For fans of Una LaMarche’s Like No Other, this illuminating story told in dual points of view through vibrant verse will stay with readers long after they've turned the last page. I read We Come Apart in one sitting. In fact, I think it’s the quickest I’ve ever read a full-fledged novel. Despite the fact that it was told in verse (like the quote above), We Come Apart was SUCH a different, thought provoking and consuming book to read. In fact, I found it VERY DIFFICULT to NOT put down. I’ve never read a book like this one before – told in verse, that is (is that what I should call it?) – Mostly because I never actually thought I’d like it. Poetry has never appealed much to me but after falling for this book, I feel like I should reconsider it. 1. NICU: It’s very hard NOT to love someone who a) only wants a better life than the almost homeless, below the poverty line life that he was living in Romania before he came to England and b) who only wants to be GOOD, to make a life for himself in this county and BE ACCEPTED. I hated how EVERY SINGLE PERSON, even the adults and HIS TEACHERS judged him based on his language, his accent, his skin colour and the kids abused him and tortured him and yet HE WAS STILL A HOPEFUL FLOWER, because all he wanted was a good life for himself. I especially hated the school kids that beat him up and Meg (UGH) who said he touched her just FOR ATTENTION TO BE ON HER and it broke my heart that there was ALMOST NOBODY that would be nice to him, or cut him some slack. 2. THE REAL RAMPANT RACISM: Students enrolled in US universities after working twice as hard as any “white” kid aren’t allowed to return to STUDY. A Minister in India claims he will kill a hundred Muslims for even a single Hindu who dies. WE LIVE IN A HIGHLY RACIST WORLD, and We Come Apart captured the worst of it in a heart wrenching manner. 3. THE WRITING STYLE: Like I said before, I LOVED THE VERSE STYLE OF WRITING. It was a really raw form of writing, that managed to capture all the emotions of the moment and yet it wasn’t a rambling piece. I also loved how Nicu’s language problems were handled because English IS A COMPLICATED language and I smiled and felt for him when he spoke it. b) AND YET NOBODY – NOBODY – Said ANYTHING to the entitled White British Kids, not even Jess. There was no defining moment to the story that at least TRIED to teach those kids to be better (even if they won’t change) but there was NO TRYING. You’re supposed to say something, right? I guess I just wish that the ending, and the lesson about being conscious about how you treat ANYONE was better put forth. 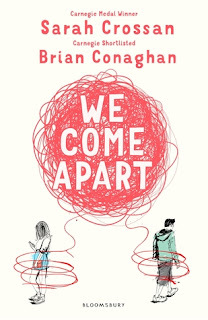 We Come Apart was a harrowing, eye-opening tale told in Lyrical prose that will consume you, and I highly recommend you dive in. 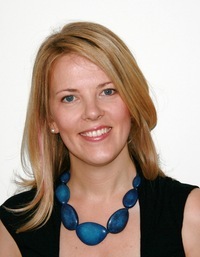 Sarah Crossan is Irish. She graduated with a degree in Philosophy and Literature before training as an English and Drama teacher at Cambridge University and worked to promote creative writing in schools before leaving teaching to write full time. She completed her Masters in Creative Writing at the University of Warwick in 2003 and in 2010 received an Edward Albee Fellowship for writing. 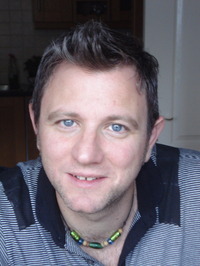 Brian Conaghan was born in 1971. He was raised in the Scottish town of Coatbridge but now lives and works as a teacher in Dublin. He is the author of The Boy Who Made It Rain and has a Master of Letters in Creative Writing from the University of Glasgow. His second novel When Mr Dog Bites was shortlisted for both the 2015 Carnegie Medal and the Children's Book Award Ireland, while his novel, The Bombs That Brought Us Together won the 2016 Costa Chilrdren's Book Award. His new novel, We Come Apart, written in verse, and co-authored with multi award winner, Sarah Crossan was released in Feb 2017. Have you read any books by Sarah Crossan or Brian Conaghan before? What are some of the contemporary novels that moved or consumed you? 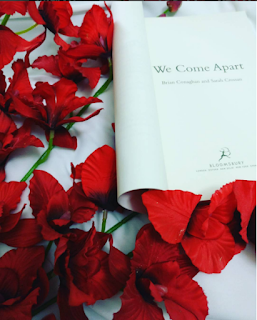 Have you heard about or read We Come Apart?